With record low approval ratings (the lowest poll results since 1974) Congress is a failing institution in the eyes of many Americans. Is public opinion correct in judging the inefficacy of the legislative branch, or is the public mistaken in these harsh criticisms? 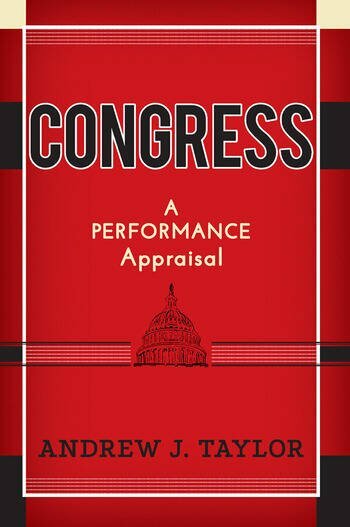 Congress: A Performance Appraisal teaches students about this critical institution of American democracy by examining how successful the body is in carrying out its key functions, particularly representation, lawmaking, and checking the other branches of government. Rather than focusing on the institutional and procedural questions of how Congress is set up, what rules guide its actions, and how its members carry out their daily duties, Andrew J. Taylor asks: do these structures, procedures, behaviors, and outcomes serve the American people as they were meant to? Using a set of aspirations a good legislature should strive for and benchmarks to rate how close it comes to those aspirations, Taylor offers a unique approach to the discussion of Congress, its actions, and its efficacy as a legislature. Sure to prompt provocative classroom discussions, Congress is the perfect text for courses on American government and politics.